Share the post "Phobias: When Fear Becomes Debilitating"
You are probably aware of the more common phobias, such as arachnophobia (fear of spiders) and claustrophobia (fear of enclosed spaces). But did you know there are also words which describe the fear of dawn, glass, and poverty? Read on to learn the 411 on over 200 phobias in existence today. I sometimes joke that I have arachnophobia. I hate spiders. I am honestly sheepish to admit how much they terrify me and that I often need help to get rid of them! I know that my fear is irrational, but I cannot help it. I also recognize that my small fear of spiders is nowhere near as debilitating as any of the actual phobias that an estimated 19 million Americans face. Today I want to give an overview of phobias and urge you, or anyone living in fear caused by a phobia, to get help. A phobia is a type of anxiety disorder that causes an individual to experience extreme, irrational fear about a situation, living creature, place, or object. The way you know you have a phobia is if you are organizing your life around avoiding whatever causes your fear. The impact of a phobia can range from annoying to severely disabling. People with phobias often realize their fear is irrational, but they are unable to do anything about it. Such fears can interfere with work, school, and personal relationships. What causes a phobia? As with most mental illness, both genetic and environmental factors can play a part. For instance, a child who has a close relative with an anxiety disorder is at risk of developing a phobia. Distressing events, such as nearly drowning, can bring on a phobia. Exposure to confined spaces, extreme heights, and animal or insect bites can all be sources of phobias. People with ongoing medical conditions or health concerns often have phobias. There is also a high incidence of people developing phobias after traumatic brain injuries. Substance abuse and depression can often be connected to phobias. Specific phobia. An intense, irrational fear of a specific trigger, like snakes, spiders, or heights. 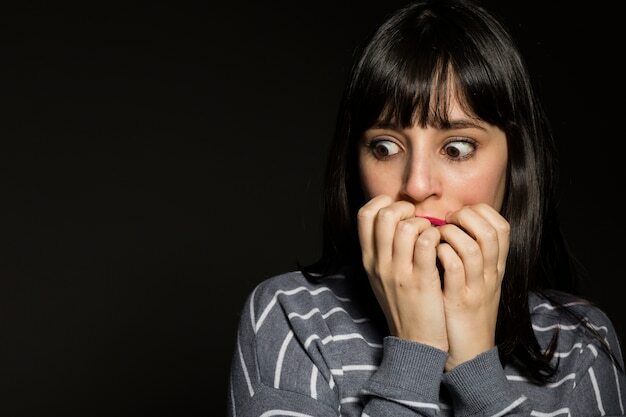 Specific phobias are known as simple phobias as they can be linked to an identifiable cause that may not frequently occur, thus not significantly affecting day-to-day life. Social phobia or social anxiety: The idea of large social gatherings is terrifying for someone with social anxiety. This is a profound fear of public humiliation and being singled out or judged by others in a social situation. Social phobias are complex, as it is harder to avoid triggers, such as leaving the house or being in large crowds. Agoraphobia: This is the fear of a situation that may cause you to panic and make you feel trapped, helpless or embarrassed. You may fear using public transportation, being in open or enclosed spaces, standing in line, or being in a crowd. This is also a complex phobia because day-to-day life is surely affected. Phobias are diagnosable mental disorders. There is hope in overcoming them! In saying so, I do not wish to minimize any one phobia. Phobias are more serious than simple fear sensations. Many individuals are aware that their phobia is irrational, but they cannot control the fear reaction. Some phobias may even cause physical symptoms like sweating and chest pains. The beautiful news is that treatment is available. Phobias are much more widely understood today, and treatment often includes medication and behavioral therapy. If you have a phobia, it is critical that you seek treatment. You do not need to live your life at the mercy of your fear! With treatment, you can learn to manage your phobia and live the happy, free and fulfilling life you want to. Please contact me today or click here to schedule your first session. You know I am more than happy to help!